It’s impossible not to think of Flake Music’s one and only album, 1997’s When You Land Here, It’s Time To Return, without thinking of the band they would become shortly after, The Shins. Considering the achievements of Oh, Inverted World just a few years later, it’s easy to assume this would fare considerably worse in comparison. And yeah, sure, you can look at it that way—the songwriting’s certainly not as distinctive (it’s worth noting that these songs are written by the band as a whole, not just James Mercer, as they are in the Shins), and the lyrics aren’t as sharp, even if Mercer’s style—twisting, complex rhymes in service of open hearts and open wounds—is mostly present. 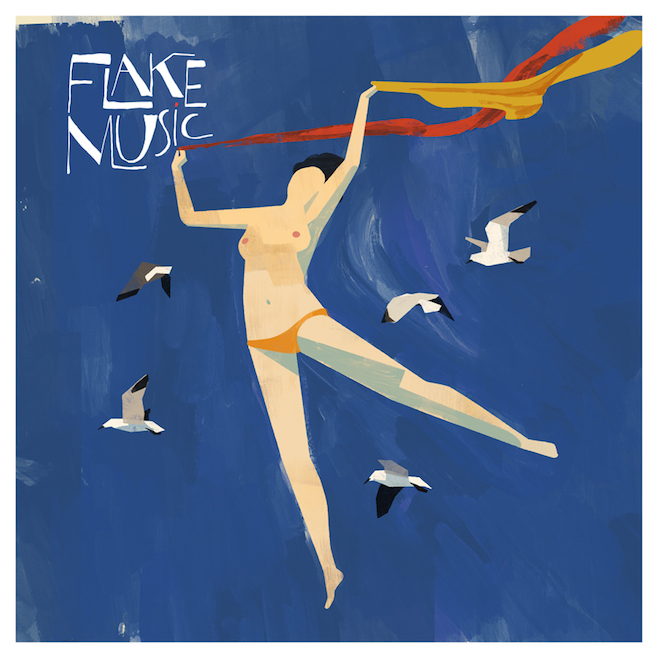 So, while at the time, Flake Music came across as a particularly tuneful version of something that was already out there, now it reads like a crystal ball reading of The Shins’ career—”What if they decided to be a punky alt band instead?” The brighter, cleaner remix helps bring out the band’s natural gift for melody even from an early age. “Spanway Hits” and “The Shins” could easily slip into a Shins B-side collection unnoticed; “Blast Valve” and “Vantage” showcase a different, more expansive side of the group, while the brief, ramshackle instrumentals that pop up throughout suggest a certain poignancy and restlessness that would serve the band well later on. Mercer would soon grow tired of Flake Music and begin the Shins as a side project for himself and drummer Jesse Sandoval, but seeing its potential, the rest of the band joined too, and Flake Music soon just became a curio of ’90s rock. But “curio” it may be, that designation seems like a disservice to When You Land Here, It’s Time To Return, which is better than that label suggests, and it stands as a well-constructed, if inessential, record apart from and a part of the Shins’ legacy.